ESI - Extrusion Services, Inc. designs and manufactures the widest range of downstream extrusion equipment available to the plastic, rubber, and composite industries. Our complete line of standard equipment offerings include: calibration equipment, cooling systems, pullers, in-line cut-to-length, surface finishing, coiling and fabrication equipment and end of line material handling. In addition to individual line components ESI also provides engineered, turn-key, extrusion lines including tooling, run-in, set-up supervision, start-up/ training including complete line control and integration. From our inception in 1981 ESI has been recognized as an industry leader in the design and manufacture of innovative extrusion processing equipment. This long history of innovation has provided numerous industry advancements particularly in the areas of precision cut-to-length technology and in-line fabrication. In addition to our full line of standard downstream equipment ESI’s large, in-house engineering staff can provide custom designed equipment to meet the demands of the most challenging processing requirements. This spirit of innovation and vast experience, gained in over twenty-five years in the downstream extrusion industry are applied to every machine we produce. Our engineering and programming capabilities allow us to provide equipment designed to be user and maintenance friendly, while providing long term, trouble free operation and repeatability. All equipment is manufactured in our state of the art 50,000 sq. ft. fully craned facility situated on a five-acre campus in Akron, OH. ESI’s fully equipped, in-house machining department, including CNC and wire EDM machining capabilities, along with our welding, fabrication and assembly departments are monitored through our fully integrated shop management and inventory control software system, providing real time project management and parts tracking information. ESI’s 3-D design capabilities assist in streamlining manufacturing and have the added advantage of providing customers with 3-D models for increased clarity and understanding of the equipment proposed. While we have the most complete line of standard equipment in the industry, ESI realizes that in the modern manufacturing environment it is often in customer’s interest to obtain equipment that is modified or custom designed to fit their exact needs. This may be in relation to utilizing specific components or adjusting or combining machine designs to adjust to the customer’s existing or ideal process. ESI engineers work hand-in-hand with the customer to ensure the equipment is designed to meet the precise requirements of the customer’s process and operating environment. We encourage customers to compile a review team, comprised of representatives from all aspects of the operation, for involvement in this process and have often found the input of maintenance and operational personnel can increase the operational efficiency of the equipment. We provide the customer the opportunity to virtually ‘test-drive’ the machine by supplying intelligent 3D models for approval before manufacturing begins. By incorporating this approach we can easily facilitate customers requests for changes to the design as no metal is cut until you are satisfied with the design. We have found this collaborative approach results in the smoothest integration of the equipment and can often evolve the design in ways not originally considered. We utilize the same collaborative approach in all of our custom projects and have had great success with it. 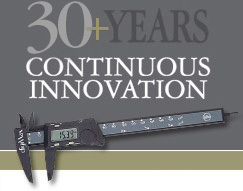 ESI specializes in cultivating long-term relationships with our customers. We aspire to be your single choice in downstream equipment suppliers and realize that for this to happen we must insure your satisfaction with every aspect of the machine purchase process. ESI personnel are dedicated to providing you with superior sales support and outstanding customer service. Our goal is to surpass your expectations from your first contact with our sales engineering staff, through the machine build process and your future interaction with our parts and service departments. This website shows a sampling of machines we have built over the years. Should you not see a machine you are looking for please contact us to discuss the specifics of your application. There’s a good chance we have an existing design to meet your needs, and if we don’t, we would love the opportunity to work with you to develop a solution.